ANDERSON — The winter months don’t mean people should stay inside. It just means they might need to bundle up. Mounds State Park has artistic and educational events throughout January and February to attract visitors during the coldest part of the year. Events include a partnership with Park Place Arts, 515 E. Eighth St., to once again host Painting in the Park. The workshops will be at 10 a.m. and 2 p.m. Saturday at the Nature Center. Both sessions will include step-by-step directions to show how to paint a bird that can be commonly seen throughout Mounds. Each session is $30, and the cost includes supplies and refreshments. Reservations must be made in advance through Park Place Arts at 374-6030 or at parkplacearts.com. 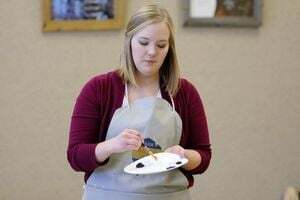 Two more sessions will be held on Feb. 20, where a river winter scene or a Mounds landscape painting will be taught. Other events in the upcoming months include a walking staff workshop, a Valentine’s Day card craft workshop and an atlatl-making workshop. Morgan said guests are often fascinated when interpretive naturalists talk about atlatls — a type of spear historically throughout the world, including by Native Americans — so for the first time, the park is hosting a workshop centered around the tool. Mounds staff will instruct how to make an atlatl as well as provide context to how the tool has been historically used. Participants will put together their own atlatl and learn how to fletch its darts. The three-hour event is pricier than most Mounds activities — $55 — but the cost includes materials for participants to make their own atlatl. Morgan said January and February is actually a great time of year to hold classes at the park. For events that require registration, call Mounds State Park at 649-8128, with the exception of Painting at the Park. 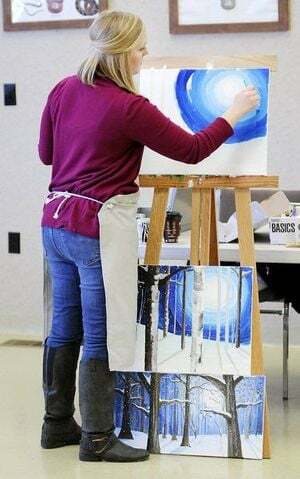 To register for the painting sessions, call Park Place Arts at 374-6030.